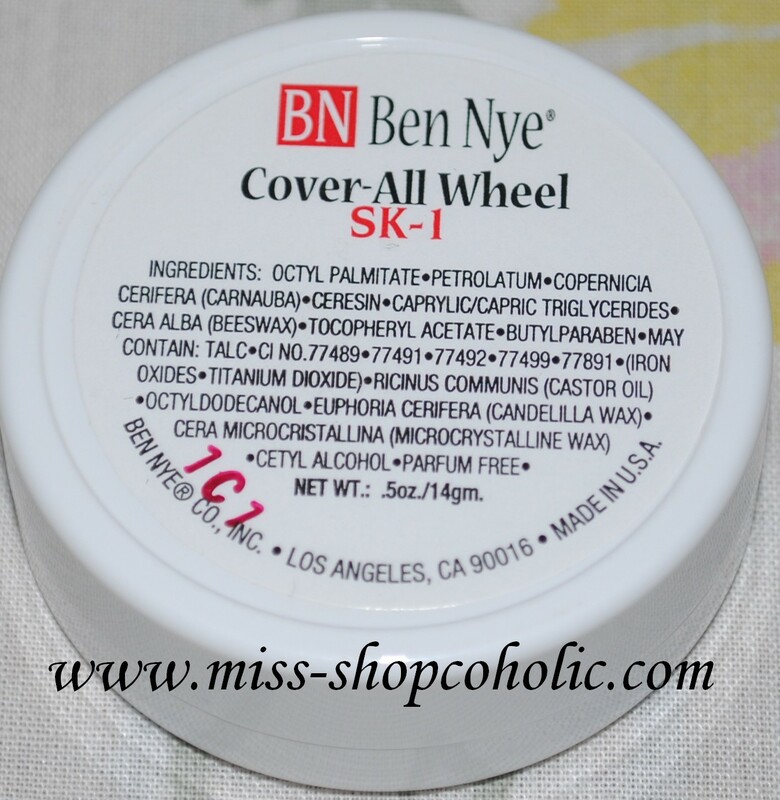 Four classic neutralizing shades are included in this best-selling Wheel. Mutes redness, veins, tattoos, beard shadows and skin discolorations. WEIGHT: 14 grams. Expect 40-150 applications. * pigmented, you only need a small amount of product to cover imperfections. * very creamy texture (love, love!) similar to the Blue Neutralizer. * easy to work with, I don't have a hard time blending it (no tugging) especially on the undereye area. * lasts the whole day (when set well with powder)! No retouching needed! 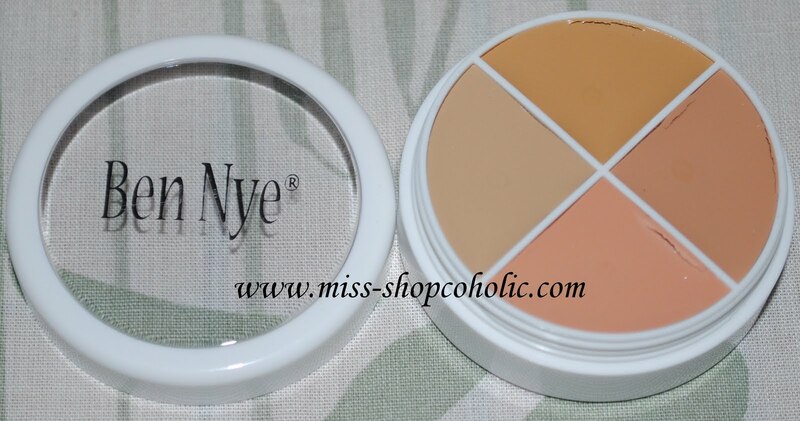 * the 4 shades can be used alone, mixed together or worn under other concealers. * has the tendency to cake if not blended or set properly. 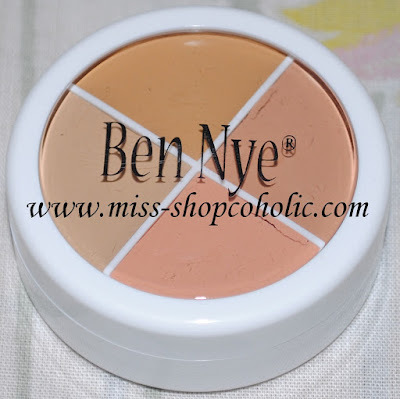 When set with Ben Nye's Banana Visage Poudre or their Neutral set loose powder, this concealer does not budge the whole day. The first time I've tried Ben Nye's Blue Neutralizer I was really impressed with the coverage, texture and staying power. The same goes to this Cover All Concealer wheel, I highly recommend this if you're looking for an inexpensive all around corrector/concealer for the face and body. 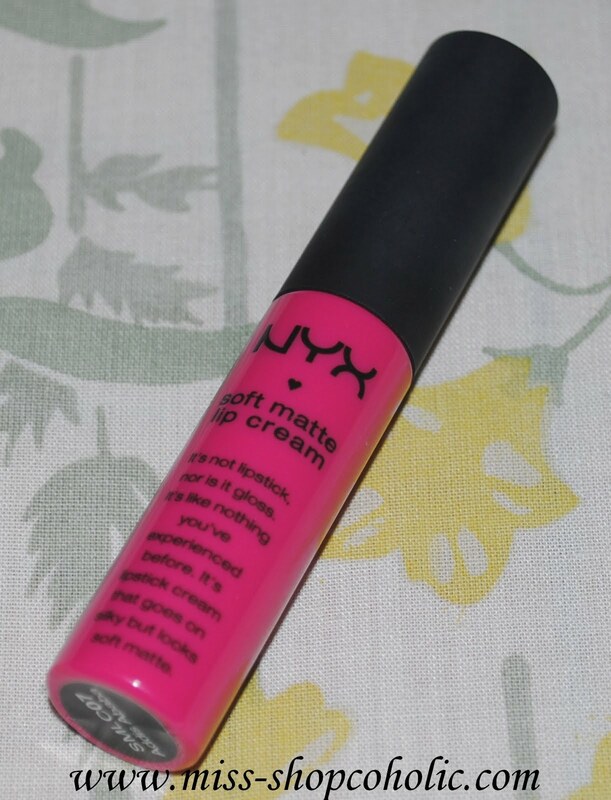 A staple in my makeup kit coz I can use it to camouflage everything. 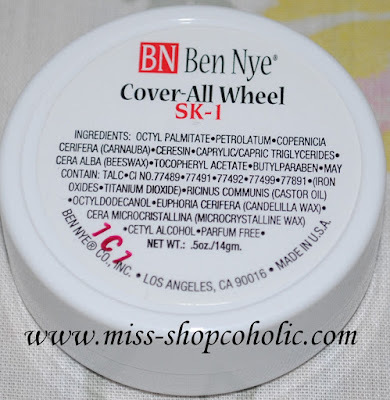 What I also love about Ben Nye products is that I'm hiyang with it and it doesn't irritate my face even if I use it everyday. Mellow Yellow (MY): Cover redness, three intensely pigmented shades are in this group, has a smooth consistency to neutralize and cover redness, blemishes, scars and capillaries. Mellow Orange (MO): Neutralize blue-green face and body imperfections including veins, tattoos, bruises and deep under-eye discolorations. Coverette Cover-Up (CC): Often recommended by doctors and "Camouflage artists" to cover scar tissue, birthmarks, vitiligo and post-op skin discoloration. Blends easily to most skin tones. Five O'Sharp Series (FS): Conceal blue beard shadows with this series of four specialty cover-ups. May be applied beneath or over foundation tone. Very effective in concealing deep discolorations, including black eyes or intense under-eye discoloration. If my dark circles are really bad (blame it on my sinusitis and lack of zzzz's) I use MO-2 to neutralize the purplish tone of my undereye circles then top it off with liquid concealer. I sometimes use MY-2 on top to of MO-2 to brighten. My Ben Nye Haul from The Style Quarter. I got 2 bottles of the Banana Visage Poudre as back-ups. These are sold for Php 520.00 (45 grams) each. You can read my previous post/review HERE. Wow I really want to try this product, but I’ve never heard of this brand before, thanks for the pics this is so helpful! By the way I like your blog, im a new follower! This palette looks amazing and sooooo creamy!! I will check it out next time I visit a shop that sells this brand. Que caña de corrector, tiene buena pinta!! I want to get my hands on this na!